Let’s face it, you have heard of famous Instagram stars, Jen Selter or even Dan Bilzerian. But what do they all have in common? Followers. An Instagram user with 1,000 followers is not going to be on CNN showing off their latest pictures and videos are they? So thats why we have created our newest product InstaVIP, to turbo-charge your journey to Instagram fame. The beauty of InstaVIP is that if you want to gain a larger following, a more active account, have people coming to you to promote their product or make money offering Shoutouts, it does just that! Get up to 5,000 extra followers per month (or 2,000 REAL followers – just ask), build a loyal audience and establish your place in the photo-sharing community. Now, it probably would have helped you to begin your quest for more followers when the app was smaller, but its not too late for you. Complete Newbie Training aimed at the complete Instagram newbie who wants to get to grips with becoming famous and making money though their Instagram account. These topics are hot and are always in constant demand which is why this offer is only open to 20 lucky users. InstaVIP offers you direct access to our most detailed guides on becoming Instagram famous, what kind of images to upload, hashtags to use, engaging with fans and much more. But the difference between you and other Instagram wannabes is that you’ll have ALL the information organised and well presented into easy-to-read and digestible posts which will make you look ten times better! Each week, you’ll be provided with new content on becoming Instagram Famous that you can refer back to at any point in time. All of this is also presented on a user-friendly download page for reading on the go! Simple right? To get 5,000 followers a month (or 2,000 REAL Followers) organically you would need to buy a lot of Shoutouts on some very popular Instagram accounts. This also depends on many things: the image you choose, caption, niche etc. No one has time to be doing this, let alone spending on average $60 per Shoutout! Let’s go into how to gain a following on Instagram organically: Say from each Shoutout purchased for $60, you received 400 followers (even thats ambitious), you would need to buy 25 Shoutouts which is $1,500 per month! So we think you can already see the REAL value of what you’re getting here. $997, $497, $297, not even $99! But we’re not going to place such a heavy price tag on our VIP membership. Not today. We could have quite happily kept quite about our service, and just continue to sell Shoutouts to those who have been with us for a while and want to step things up a notch. You will not have to invest anywhere near $997 with us today. In fact, you will not even have to invest half that amount at $497! If you want to see your Instagram account soar within the next few months, and continue to soar for the years ahead, NOW is the time to jump in on this! You can grab everything now for a small investment of $17! That’s it! No rip-off prices here! We have plans to sell this VIP membership as part of another premium package for $197, so please bear in mind that this exclusive membership offer WILL NOT be available anywhere else for this discount price! NO Other Instagram Service Comes Close! There is nothing else that even comes close to this on the market! No one else would go to so much detail as we have! No other company would have gone through the fuss of setting up a complete VIP access area for a limited number of customers, and no one else would go through the time to set up the entire structure, exactly the way you see it on your computer! While You Still Have Time And It’s Fresh In Your Mind! The service thats already been laid out for you is worth well over $1500 and we’re only charging a small fraction of that price so we can cover our costs whilst still providing a ‘high end’ product for fellow Instagram users like you who need such an opportunity to work their way up! If you sold 3 Shoutouts for an average of $50 each in 1 month, you’d have 2 customers worth $150 to you! You’d only need 1, yes ONE sale and you will already have made your money back! 3,000 Extra Followers a Month (or 500 REAL Followers – your choice)! YES! Give me my complete VIP access to InstaVIP with 3,000 extra monthly followers (or 500 REAL Followers – just ask)! I want to gain access to the most anticipated Instagram service online to date including 3,000 extra Instagram followers a month (or 500 REAL Followers), direct access to the VIP area, a chance to win monthly prizes and discounted Shoutouts so I can be on my way to becoming Instagram Famous! YES! I understand that this offer is only available at this price for a limited time to limit the competition! This will ensure that I am one of the very few people getting access to Instagram trade secrets and I will continue to grow my Instagram account. On that basis, give me my InstaVIP Inter access now for only $34 $17! Please click on the ‘Complete My Order Button’ after payment. This will redirect you straight to the members area so you can enter your Instagram information and begin your journey to Instagram fame! 5,000 Extra Followers a Month (or 2,000 REAL Followers – your choice)! YES! 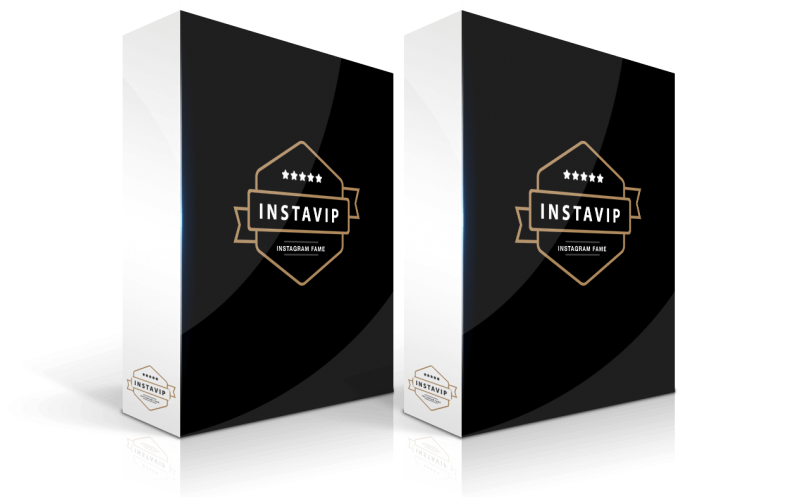 Give me my complete VIP access to InstaVIP with 5,000 extra monthly followers (or 2,000 REAL Followers – your choice)! I want to gain access to the most anticipated Instagram service online to date including 5,000 extra Instagram followers a month (or 2,000 REAL Followers – you choice), direct access to the VIP area, a chance to win monthly prizes and discounted Shoutouts so I can be on my way to becoming Instagram Famous! YES! I understand that this offer is only available at this price for a limited time to limit the competition! This will ensure that I am one of the very few people getting access to Instagram trade secrets and I will continue to grow my Instagram account. On that basis, give me my InstaVIP Pro access now for only $74 $37!